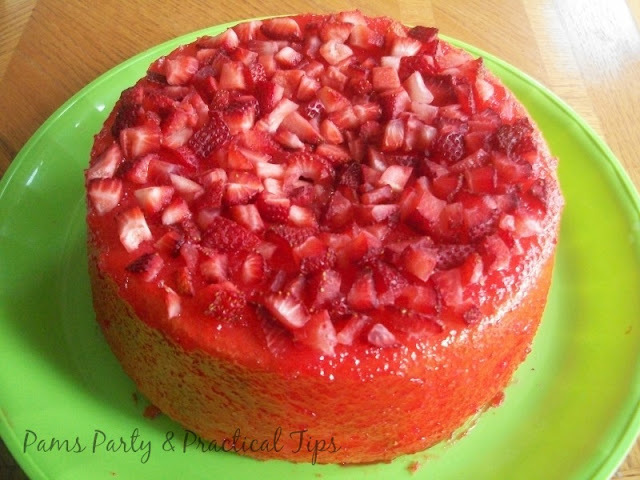 Now that summer is here, it is time for summer parties and family cookouts. This past weekend I planned a cookout with enough food feed 8-10 people for under $30. 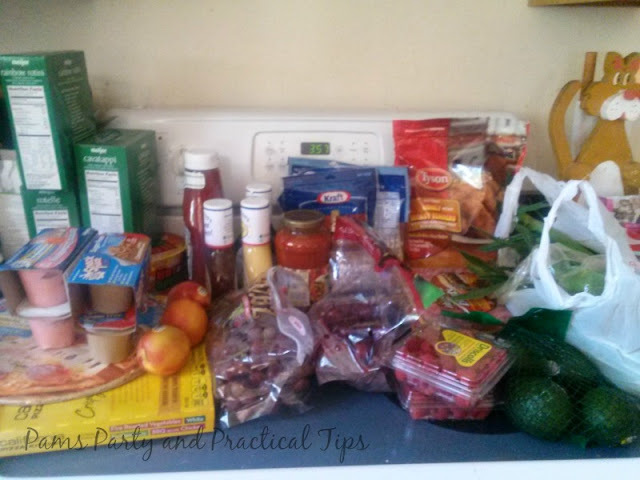 I am going to share my money saving tips, that you can use for your summer get togethers, and even weekly grocery shopping. We have four grocery stores in our town. I usually do most of my shopping at Aldi, but this week both Kroger and Meijer had very good sales as well. I decided it would be worth my while to go all three to save the most money. I went through the flyers and made a list of what I thought I would like to buy, and which store had the best price on particular sale items. If you do not get a newspaper, that is okay. You can see the flyers each week on the store's website. 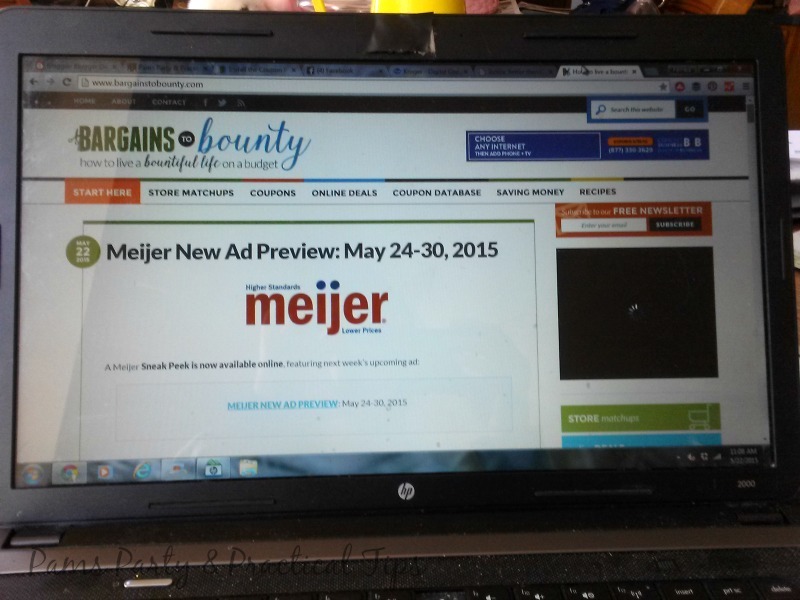 After I have a tentative list on my own, I check the deal websites for see a full list of deals. My personal favorite is Bargains to Bounty. One reason why it is my favorite is it is more local to where I live, and the deals are for the stores where I shop. There are many other great sites as well, that specialize in stores around the country. I got through the deals and add them to my list. I might also cross off things from my tentative list if I see a better deal somewhere else. There are several types of coupons available to use on your groceries. I used a combination of all of them. If you do not have flyer coupons, or do not want to clip them that is okay. Many stores have digital coupons on their websites that you can add to your rewards card or perks account. They might go by different names such as MPerks (Meijer) or Cartwheel (Target) but they all work the same way. Just load them to your account online, and the savings show up at the register. 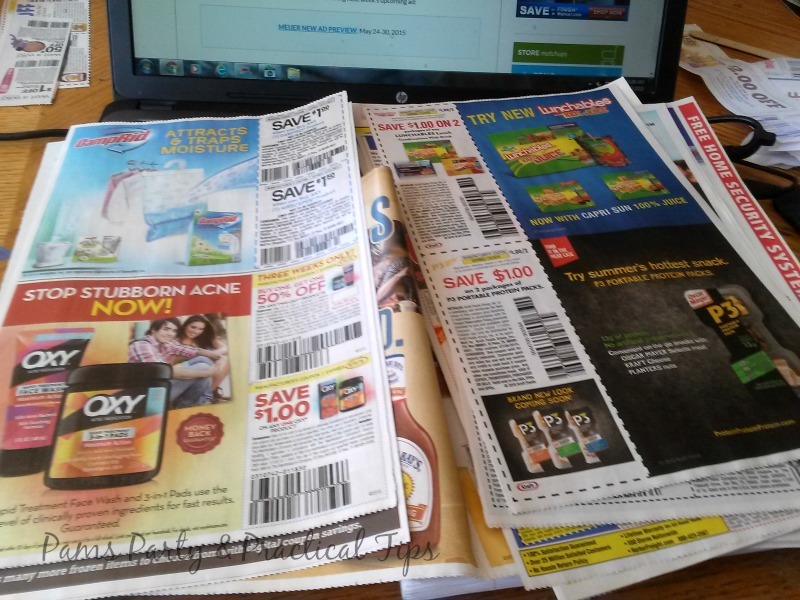 In addition to flyer coupons, and store coupons, I also print coupons from several online sites. 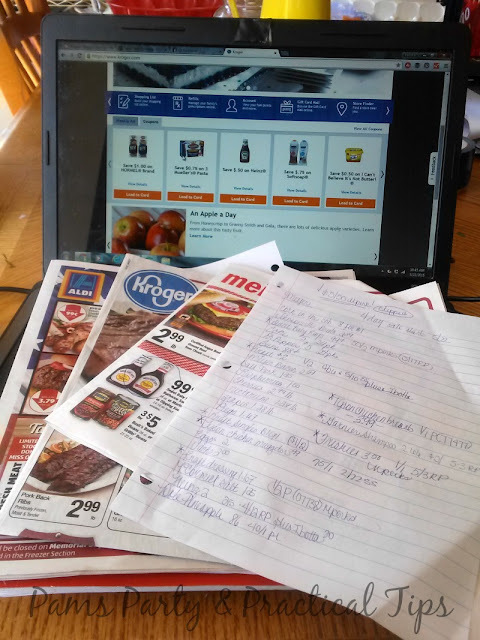 Once I made my list, checked the deals, and clipped my coupons, it was time to go to the store. Here is just some of the great deals that I found this week.. While I bought more than I normally do, I actually saved a lot more money. I stocked up on several items, and currently have enough food for over ten meals. 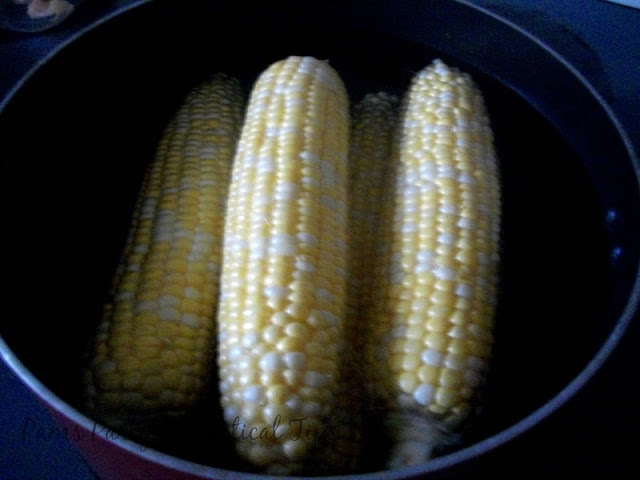 One of the very best deals that I found this past week was the Corn on the Cob. Meijer had corn 8 for $1. Normally corn on the cob is in the .25 to .30 per ear range. This week it was under .13 a ear, which is 50% off! Not only was this an amazing deal, it tasted super sweet and delicious. A package of Ball Park Franks on sale for $1.25 (normally $2.99) we did not end up eating these, so we have them for a later day. I saved $15.45, 36% off my total with just a few simple steps, and very little work. Here are some more ways you can save in the summer that you might not have thought about..
Stock up on condiments and meats the week before a summer holiday. You can find items like ketchup, mustard, mayo and hot dogs at some of their best sale prices of the summer. If you have a U Pick farm nearby, buy in bulk and freeze. If you know how, make homemade jelly and jam. If you have a green thumb, grow a veggie garden. My favorite is home grown tomatoes right out of my garden. Do you have any more ideas on how to save money in the summer. I would love to hear about them.